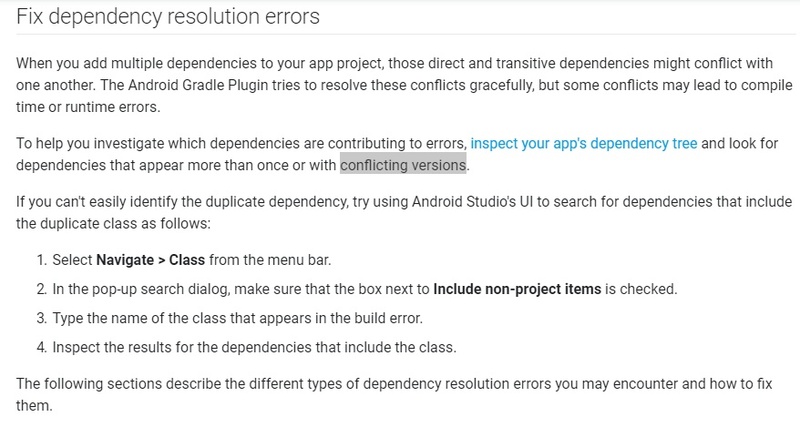 詳細錯誤訊息 : conflict with dependency 'com.android.support:support-annotations' in project ':app'. resolved versions for app (26.1.0) and test app (27.1.1) differ. 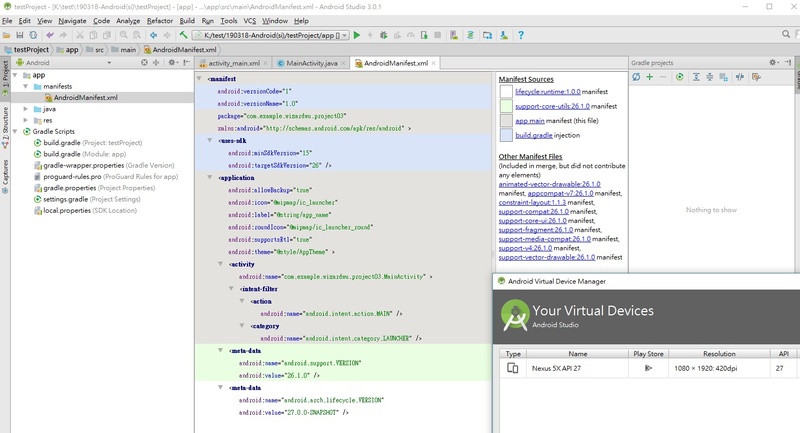 Error:Execution failed for task &#39;:app:processDebugManifest&#39;.